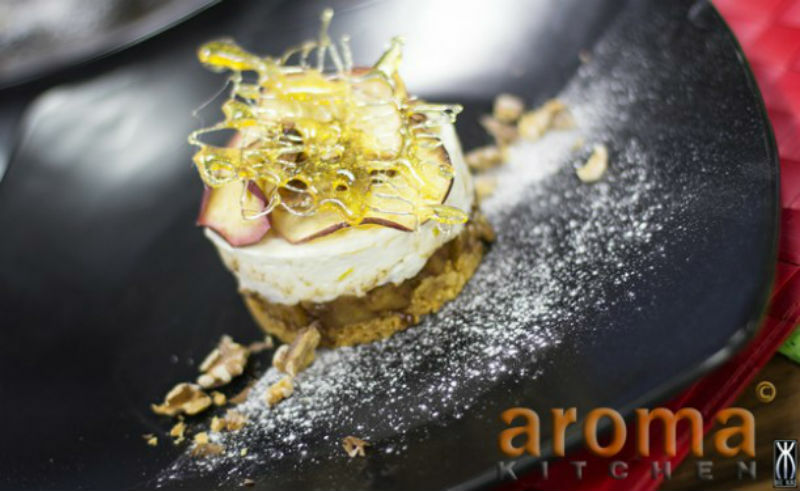 These gluten free apple strudel cheesecakes taste wonderful! Try them out! 1. Start this recipe by preparing the base. Crush the gluten-free biscuits and mix in the melted butter. 2. Press this mixture into the base of you cheesecake rings. 3. Put in the fridge to harden. Meanwhile make the filling. 4. Cook down the apple, butter, sugar and cinnamon together in a small pan for 5 minutes then remove off the heat and allow to cool. 5. Next, place the cream cheese, Greek yogurt, icing sugar, lemon zest and vanilla essence in a bowl and mix to a smooth paste. 6. Place the leaf gelatin in a bowl of water to soften and then heat in a pan to dissolve. 7. Immediately add the liquid gelatin and the cooked apples to the cream cheese mixture and mix together well. 8. Spoon the mixture into the prepared cheesecake rings and even out the top. 9. Place back into the fridge for at least 45 minutes to set. 10. Meanwhile, slice the remaining ½ apple into very thin slices and place on a baking tray cover with non-stick paper, along with the walnut halves. 11. Dust over the icing sugar and place in the oven at 200oC for 5 minutes or so to caramelize the sugar. 13. To serve, remove the ring off the cheesecakes and place on a serving plate. 14. Decorate the top of each cheesecake with the caramelized apple slices and walnuts.